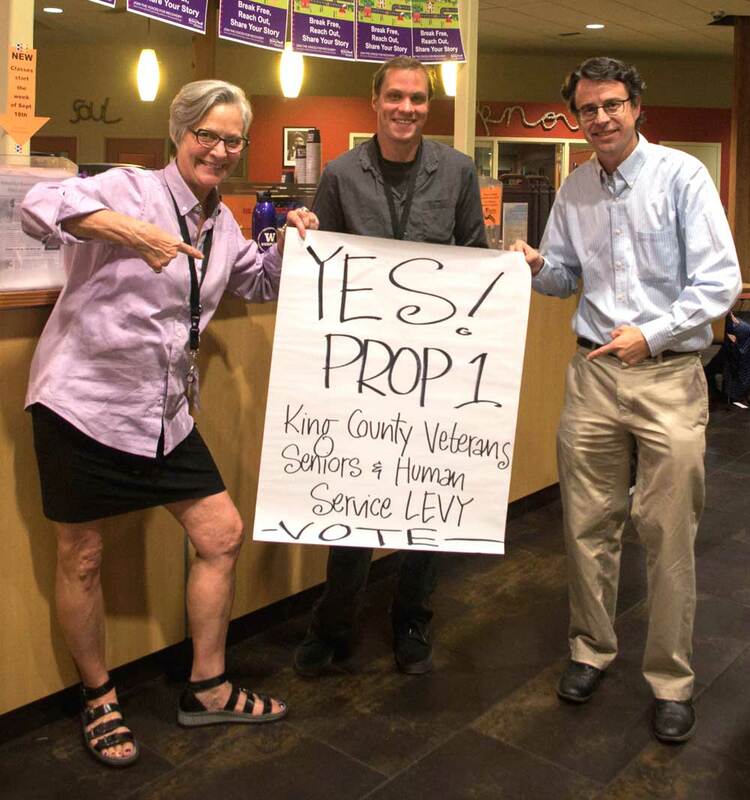 Vote yes on Proposition 1! Expand King County’s commitment to veterans and their families. Expand King County’s commitment to the most vulnerable members of our community, providing connections to services that restore health and build self-sufficiency. Support older women and men, who are the largest growing segment of King County’s population. Learn about the important services the levy has made possible since its launch in 2006, and what it will support if King County voters renew it this fall. Thank you for considering voting for this important work which will provide life changing resources to women and men who need it!